This rolled hand towel dispenser promotes hygiene, improves comfort, and help control costs. It is ideal for dispensing single sheets of SCOTT* rolled Hand Towel, without the need to touch the dispenser. It is great to use in food processing environments, and public venues such as airports. 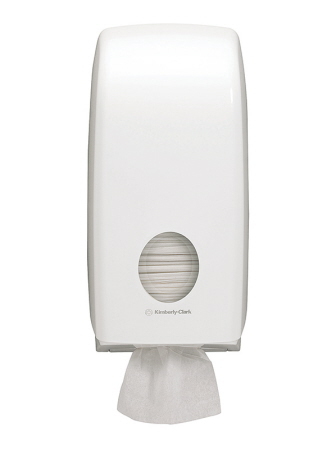 It helps reduce contamination and the spread of germs, keeping costs down in areas of heavy use with easy maintenance. 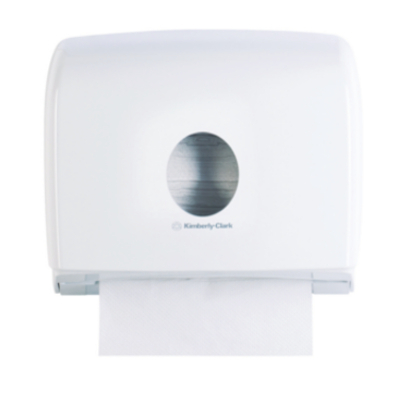 It is available as a no-touch dispenser with push button or key lock and stub-roll facility holding over 1,000 sheets per roll for up to 500 applications, in a curved design with an easy-clean finish and no dirt or dust traps. Our unique patented overfill prevention device makes refilling easy and prevents jamming and wastage. It is available as quick-fill dispenser in a sleek and contemporary design, with a white, high-gloss, easy-clean finish and no dirt or dust traps, a window (so you can see when a refill is needed) plus an option for customising the dispenser to match your colour scheme. Kimberly Clark Jumbo Toilet Roll Dispenser which matches towel and soap dispensers for a coordinated look. It promotes hygiene, improves comfort and care, and helps control costs. 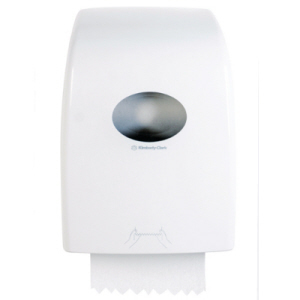 It is ideal for dispensing rolled toilet tissue in an elegant format for high-traffic areas. It is easy to load, offers a smart, hygienic and cost effective solution when you need it most. It is available as quick-fill dispenser in a sleek and contemporary design. It has a white, high-gloss, easy-clean finish and no dirt or dust traps, a window (so you can see when a refill is needed) plus an option for customising the dispenser to match your colour scheme. Kimberly Clark Aquarius Jumbo Roll Dispenser is ideal for dispensing rolled toilet tissue in an elegant format for high-traffic areas. It can easily be loaded. It offers a smart, hygienic and cost effective solution when you need it most. 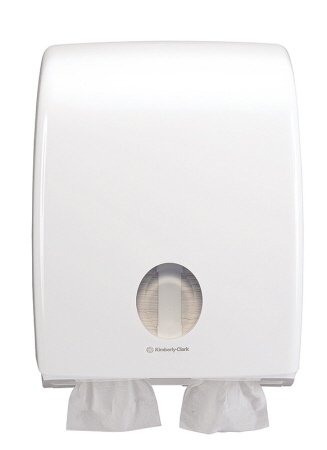 It is available as quick-fill dispenser in a sleek and contemporary design, with a white, high-gloss, easy-clean finish and no dirt or dust traps. It has a window (so you can see when a refill is needed) plus an option for customising the dispenser to match your colour scheme. Kimberly Clark Aquarius Compact Folded Towel Dispenser is ideal for dispensing 'Inter-fold' towels, without the need to touch the dispenser which helps reduce contamination and the spread of germs. 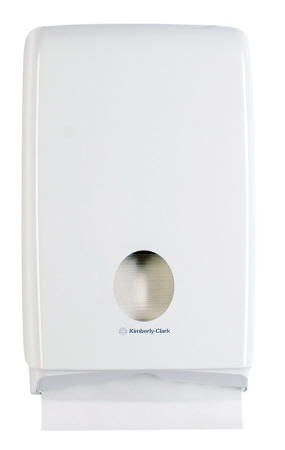 Kimberly Clark unique patented overfill prevention device makes refilling easy and prevents jamming and wastage. It is available as quick-fill dispenser in a sleek and contemporary design, with a white, high-gloss, easy-clean finish and no dirt or dust traps, a window (so you can see when a refill is needed). 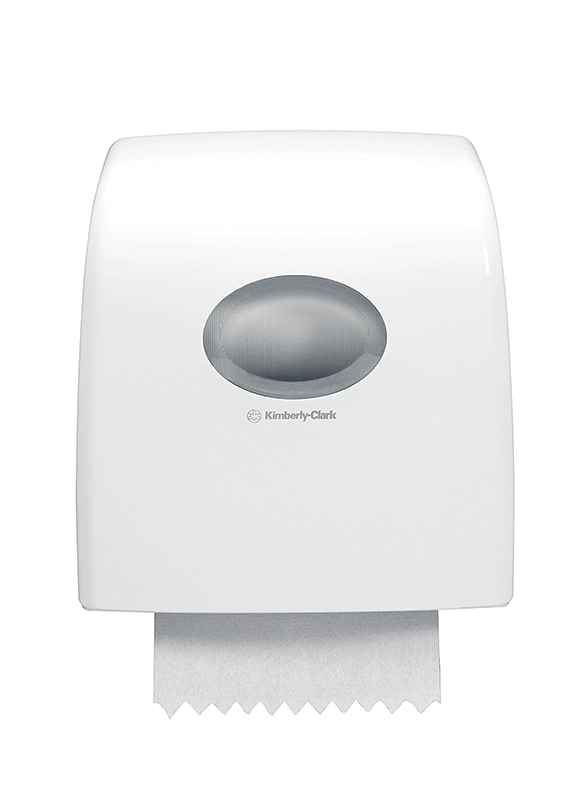 White ABS plastic, lockable hand towel dispenser from Kimberly Clark. It is ideal for dispensing hand towels, without the need to touch the dispenser. Hence, it promotes hygiene - reducing contamination and spreading of germs. It improves comfort and care, and help control costs. It is available as quick-fill dispenser in a sleek and contemporary design with a white, high-gloss, easy clean finish and no dirt or dust traps. It has window for you to see when refill is needed. Besides, it has an option for you to customise the dispenser to match your colour scheme. 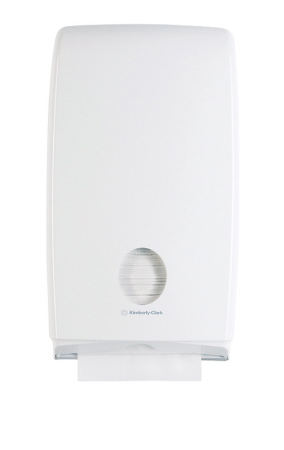 White ABS plastic, lockable Aquarius Hygienic toilet tissue dispenser is ideal for dispensing single sheets, without the need to touch the dispenser; helping to reduce contamination and the spread of germs. 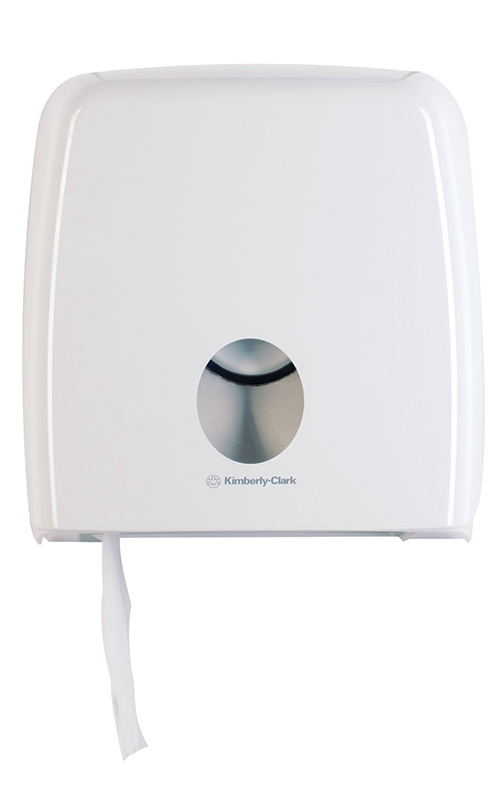 Kimberly Clark Aquarius White ABS plastic hand cleanser dispenser which is ideal for dispensing either liquid soap or foam for maximum versatility and cost-efficiency. It is easy to refill. Available as quick-fill dispenser in a sleek and contemporary design with a white, high-gloss, easy-clean finish and no dirt or dust traps. It has an option for customising the dispenser to match your colour scheme. It has a window so you can see if refill is needed. 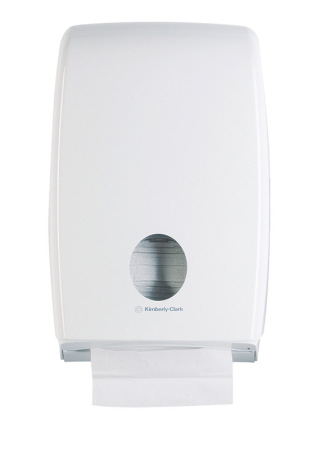 A White ABS plastic, lockable toilet seat cover dispenser to promote hygiene, improve staff and customer comfort and care, and help control costs. 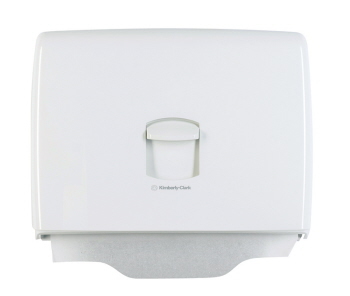 It is great for dispensing single-use toilet seat covers, one at a time, in busy washrooms in work areas and public venues; reducing the risk of contamination and the spread of germs; keeping costs down, with hassle-free maintenance. 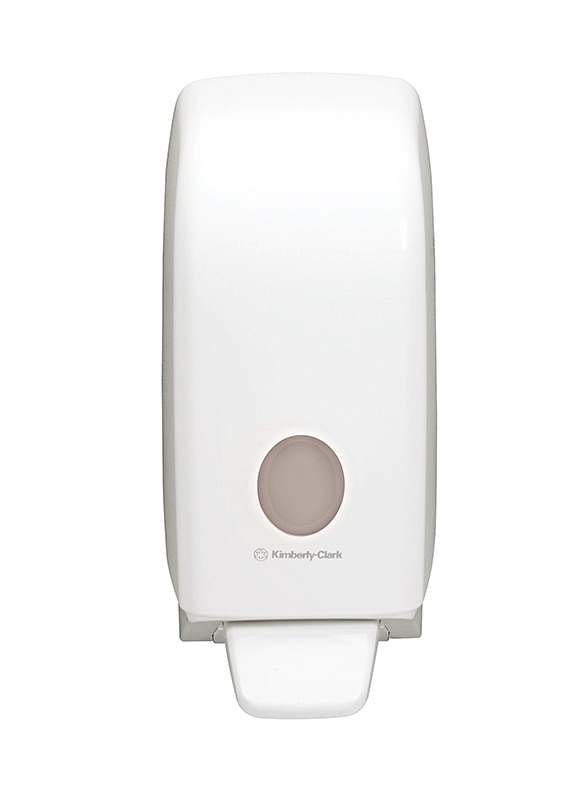 White ABS plastic, lockable, hygienic bath tissue twin dispenser from Kimberly Clark that promotes hygiene, improves comfort and care, and helps control costs. It is available as quick-fill dispenser in a sleek and contemporary design, with a white, high-gloss, easy-clean finish and no dirt or dust traps, a window (so you can see when a refill is needed. 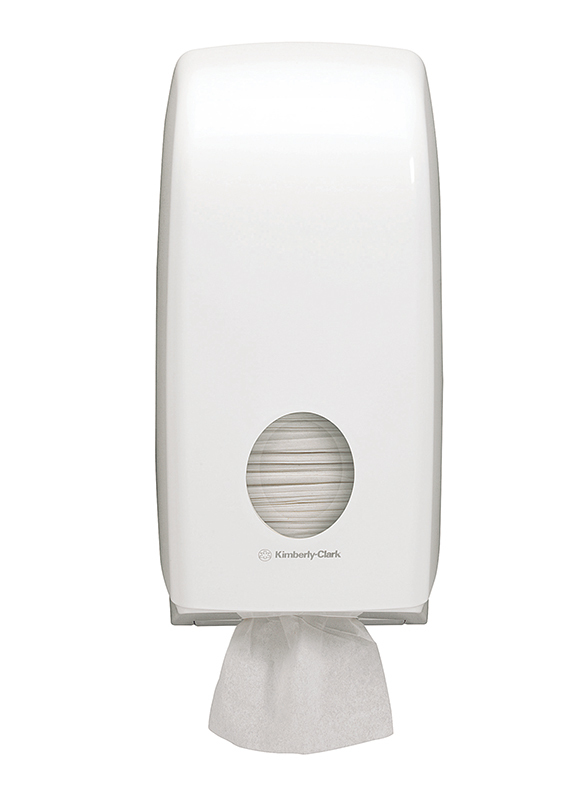 It is great for dispensing single sheets, without the need to touch the dispenser. Hence, it helps reduce contamination and the spread of germs. 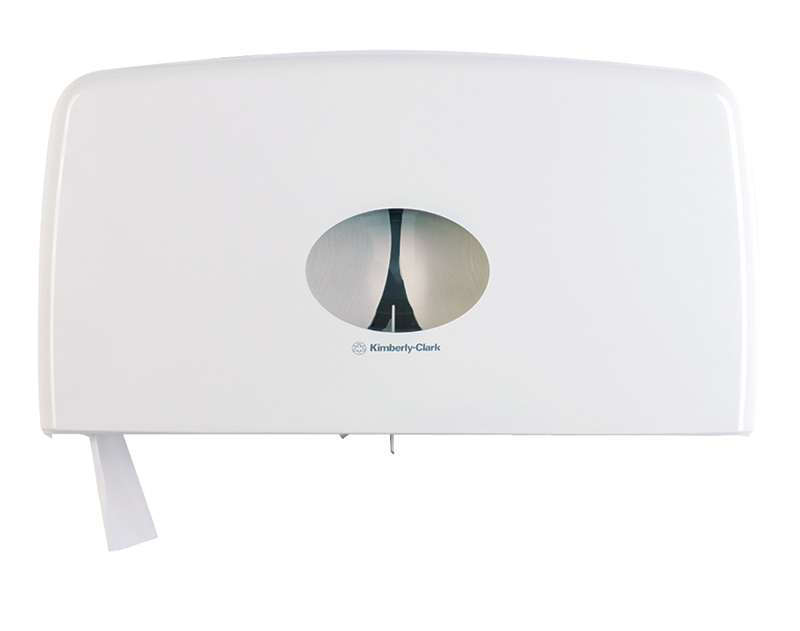 Aquarius Compact Multifold Towel Dispenser is perfect for areas with limited space. White, ABS plastic, Key lockable. This product has received HACCP Certification. Checkout the Full Range of Aquarius Dispensers. Click here. Quick-fill dispenser in a sleek and contemporary design, with a white, high-gloss, easy-clean finish and no dirt or dust traps, a window (so you can see when a refill is needed) plus an option for customising the dispenser to match your colour scheme.